if you refused to submit to a breath, urine, or blood test. 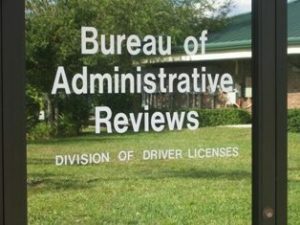 We can seek an extended driving permit for you by requesting a DHSMV formal review hearing through the Bureau of Administrative Review. Can I Drive if My License was Taken? What are My Chances of Winning My DHSMV Hearing? What if I Lose My DHSMV Hearing? How Can a DUI Attorney Make a Difference? – Refused to blow into the Intoxilyzer machine. If either of the above conditions are satisfied, then the DHSMV administrative driver’s license suspension automatically occurs when the arresting officer files your Uniform Traffic Citation with the DHSMV. You have the right to challenge this administrative suspension of your privilege to drive. However, you must act quickly in order to preserve that right. You only have 10 calendar days from the date of your arrest to challenge the driver’s license suspension and have your attorney request a civil administrative hearing for that purpose. Note that Florida law specifically limits this 10-day period to “calendar” days, not just “business” days. This means that even though the Florida Department of Highway Safety and Motor Vehicles is closed on Saturday and Sunday, the clock is still running on your 10 calendar day time limit. Therefore, we encourage our clients to schedule a consultation at our office with one of our experienced DUI Defense Attorneys after the client secures the release of his or her vehicle from impound. If My Driver’s License was Taken on the Night of My Arrest, Does that Mean I Can’t Drive? If your license was seized and suspended for submitting a breath sample of .08 or above, you will be able to drive for a period of ten days using the DUI citation issued to you on the night of your arrest (assuming that your driver’s license was valid prior to your DUI arrest). The DUI ticket itself acts as your full license to drive during this ten day period. To confirm that you can lawfully drive, you should look at the bottom of the DUI ticket. There, you will find a check box that says “Eligible for Permit.” This box must be checked “yes” for you to lawfully drive. Unless you hire a DUI lawyer and take action with respect to your driver’s license within the first ten days, you will not be eligible to drive whatsoever for a period of 30 days, 90 days, 6 months, 12 months or 18 months, depending on the circumstances of your case and your prior record of arrests for DUI. If you provided a breath sample that was at a level above a .08 and have one or less prior DUI convictions, your failure to take action with respect to your driver’s license within ten (10) calendar days will result in a period of thirty (30) days during which you cannot drive at all, for any reason. In this scenario, after sitting out thirty days of no driving, you would be eligible to apply for a hardship license on the 41st day from your arrest. If your license was taken from you because you refused to submit a breath sample, you will be able to use the DUI citation to drive for 10 days (assuming that your driver’s license was valid at the time of your DUI). After the tenth day from the date of your arrest, unless you hire a attorney to request a Formal DHSMV Review Hearing, you must then cease all driving for a period of 90 days. Under this scenario,assuming that you have one or less prior DUI convictions AND your license has never previously been suspended for a refusal to submit to breath, urine or blood testing, you will be eligible to apply for a hardship license on the 101st day from the date of your arrest. If you are a driver that has more than one prior DUI conviction, or, if you are a driver whose license was previously suspended for a refusal to submit to chemical testing and are now facing a second “refusal” suspension, the DHSMV Formal Administrative Review process is an “all or nothing” proposition. In other words, if you fail to request a DHSMV Formal Administrative Review hearing within the first ten days, you will not be eligible for a hardship license for a period of at least six months, and as much as eighteen months. Waiver of the Formal Review Hearing to Obtain an Immediate Hardship License: If you were arrested for DUI after July 1, 2013 and you have never previously had your privilege to drive suspended for a DUI offense, you may be eligible for an immediate hardship license. Within 10 days of your arrest, you can voluntarily waive or give up your rights to a DSHMV Formal Review Hearing. Although this waiver results in the automatic administrative suspension of your privilege to drive, it also triggers the DHSMV to allow for your immediate application for a hardship license. This legal strategy is designed to entirely circumvent the 30 or 90 day “hard suspension.” Most importantly, this approach is likely to keep you driving on an uninterrupted basis by using a hardship license. There are many attorneys in Pinellas County that always recommend that a first-time offender take advantage of the “waiver” process. Every case is unique. For this reason, when you sit down to talk with an attorney in our office, we will discuss the DHSMV administrative process in more detail. We can help you decide whether it is in your best interest to request or, perhaps, waive the formal review hearing in your particular case. We will show walk you through all of the steps necessary to comply with the new provisions of the law that can keep you on the road. Consult with us within the first 10 days! In order to challenge your driver’s license suspension, it is necessary for your attorney to request a Formal Review Hearing within the 10 calendar day period. Prior to the hearing, an opportunity is provided for your attorney to review all of the documents associated with your case. At a Formal Review Hearing, your lawyer can subpoena and cross-examine the police officer who arrested you. In most cases, we can conduct the hearing without the need for you to appear, so that you can avoid missing time from work or school. What is the Difference Between a Formal Review Hearing and a Hardship License Hearing? A Formal Review Hearing is not the same as a Hardship License hearing. In fact, these two types of hearings have nothing to do with each other. The Formal Review Hearing is for the sole purpose of challenging both the DHSMV administrative suspension of your driving privilege on the night of your DUI arrest and to avoid the thirty or ninety day period of no driving. On the other hand, a Hardship License Hearing is conducted to determine if you qualify for the privilege of getting a restricted license. This hardship license only allows driving for essential purposes related to maintaining your livelihood during any period that your regular driver’s license is suspended. Our office can counsel you on your eligibility for both a driving permit and hardship license. See our articles on Getting a Hardship License or DUI Hardship License Tips for more information. How Long Could My License be Administratively Suspended by DHSMV? The Florida Legislature wants to encourage people arrested for DUI to submit a breath sample in order to the arm the prosecutor with evidence showing a breath alcohol level over the legal limit. The administrative suspension for “refusing” to blow is longer than the penalty for having a breath alcohol level of .08 or above. If it is your 1st DUI arrest and you submit a breath sample over a .08, your license could be administratively suspended for a period of 180 days. If it is your 1st DUI arrest and you “refuse” to submit a breath sample, your license could be administratively suspended for a period of 1 year. If it is your 2nd or subsequent DUI arrest and you submit a breath sample of a .08 or above AND you had submitted a breath sample of .08 or above in a prior DUI case, your privilege to drive could be administratively suspended for a period of 1 year. If it is your 2nd or subsequent DUI arrest and you “refuse” to submit a breath sample AND you “refused” to submit a breath sample in a prior DUI case, your privilege to drive could be administratively suspended for a period of 18 months. We can file all of the appropriate documents necessary to seek a temporary driving permit. This temporary permit will allow you to continue driving beyond the ten day period permitted by your DUI ticket. We will file an application for a Formal Review Hearing and request a copy of the forms and reports that law enforcement relied upon to justify taking your license. We will then carefully scrutinize these forms and reports to determine the legal sufficiency of these materials in preparing our arguments for the hearing itself. If it is necessary to call witnesses to testify or to present evidence on your behalf, our office will issue witness subpoenas to insure their attendance at the hearing. At your DHSMV hearing, your lawyer will seek to invalidate the driver’s license suspension. If your driver’s license is nevertheless suspended, we may still be able to help you secure a hardship license. You can benefit from our advice about the nature and type of questions typically posed in the hardship license application process. We will also provide you with the necessary hardship driver’s license application materials. In addition, we can counsel you on the necessary tasks that you should complete prior to making your hardship license application. What are My Chances of Winning a Florida DHSMV Formal Review Hearing? It is important to note that the issues and burdens associated with a Formal Review Hearing are quite different from the issues that are considered by a criminal court. The Formal Review Hearing is a civil proceeding and will be limited to relatively narrow questions that are not generally considered in the criminal court proceeding. Success at a Formal Review Hearing can often be attributed to the simple failure on the part of law enforcement to timely submit or properly complete affidavits, forms, and reports. As such, even if there is a significant amount of incriminating evidence in your criminal court case, it may not negatively impact your chances of winning a DHSMV Formal Review Hearing. The facts of every case are different, so it is impossible to say with certainty what your chances of winning might be at this early stage. However, at your initial consultation, we can review the documentation in your case and possibly identify relevant issues that can be raised at your DHSMV administrative hearing. If we win the DHSMV Formal Review Hearing, this will result in getting your driver’s license back. The request for the hearing and subsequent favorable administrative ruling may have the effect of resulting in your uninterrupted ability to lawfully drive. What Happens if the Officer Doesn’t Show Up to My DHSMV Formal Administrative Review Hearing? What if I Lose the DHSMV Formal Review Hearing? If you lose the Formal Review Hearing, there will be a period of at least thirty (30) days during which you are ineligible to drive, for any reason. This period of time is commonly referred to as a “hard suspension”. After sitting out your “hard suspension,” you may be eligible to obtain a license that allows for you to drive for “business purposes only,” depending on your record of prior arrests for DUI. How Do DUI Lawyers Win a Formal Review Hearing with the Florida DHSMV? b.) Whether you submitted breath test samples that resulted in readings of a .08 or higher. b.) Whether you refused to submit a breath sample after being told that your refusal to submit would cause the suspension of your driving privilege for a period of at least one year. See Florida Statute §322.2615(7)(a) – (b). The ultimate outcome of the DHSMV hearing has little to do with the specific factual allegations made by the law enforcement officer involved in your case. Instead, the focus of the hearing is directed towards the “sufficiency” of the documentary evidence rather than the “quality” of the overall investigatory evidence intended for use in the prosecution of the criminal court DUI charge. Most Formal Review Hearings are won or lost on technicalities, such as the failure to include required documents, clerical errors in the documents themselves, or defects in the documents. Very few, if any, Formal Review Hearings can be won by challenging the factual allegations of law enforcement. You will note that because the scope of the DHSMV hearing is limited in nature, it does not contemplate the larger question of whether you are guilty or innocent of the DUI charge. The process of challenging a civil administrative license suspension requires the assistance of a qualified attorney who knows and understands the unique issues associated with the government’s collateral attack on your privilege to drive. It is obviously important to have a competent and knowledgeable attorney on your side who can spot the issues associated with both your criminal court case and the DHSMV Formal Review process. You should know that Florida law governing DUI’s is in a constant state of flux. 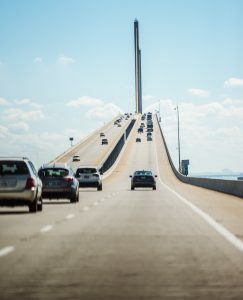 Court decisions are issued throughout the State of Florida on a regular basis that modify, add, or subtract from the legal requirements necessary to impact your driving privilege. Our office routinely handles Formal Administrative Review hearings at the local Florida DHSMV, Bureau of Administrative Review office in Clearwater. We are well familiar with the procedures put in place by DHSMV and the legal issues that need to be explored in our effort to overturn the administrative suspension. Let’s get to work on getting your driver’s license back! If you have been arrested for a DUI offense in St. Petersburg, Clearwater, Largo, Dunedin, Palm Harbor, Tarpon Springs, Safety Harbor, Belleair, St. Pete Beach, Gulfport, Treasure Island, Madeira Beach, Pasadena, Redington Shores, Indian Rocks Beach, or Seminole, call our office to schedule a free initial consultation at (727) 578-0303.